Matthias (24 February 1557 – 20 March 1619) was Holy Roman Emperor from 1612, King of Hungary and Croatia from 1608 (as Matthias II) and King of Bohemia from 1611. He was a member of the House of Habsburg. Matthias was born in the Austrian capital of Vienna to Maximilian II, Holy Roman Emperor and Maria of Spain. Matthias married Archduchess Anna of Austria, daughter of his uncle Archduke Ferdinand II of Austria, whose successor in Further Austria Matthias became in 1595. Their marriage did not produce surviving children. In 1578, Matthias was invited to the Netherlands by the States-General of the rebellious provinces, who offered him the position of Governor-General. 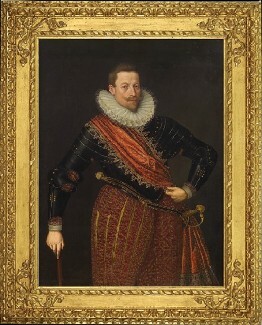 Matthias accepted the appointment, although the position was not recognized by his uncle, Philip II of Spain, the hereditary ruler of the provinces. He set down the rules for religious peace within most of the United Provinces. His work is noted in Article 13 of the 1579 Union of Utrecht, which established freedom of religion as a locally determined issue. Matthias continued as titular governor for the rebels until they deposed Philip II and declared full independence in 1581, at which point he returned home to Austria. After Matthias's accession as Holy Roman Emperor, his policy was dominated by Klesl, who hoped to bring about a compromise between Catholic and Protestant states within the Holy Roman Empire in order to strengthen it. Matthias had already been forced to grant religious concessions to Protestants in Austria and Moravia, as well as in Hungary, when he had allied with them against Rudolf. Matthias imprisoned Georg Keglevi? who was the Commander-in-chief, General, Vice-Ban of Croatia, Slavonia and Dalmatia and since 1602 Baron in Transylvania, but soon left him free again. At that time the Principality of Transylvania was a fully autonomous, but only semi-independent state under the nominal suzerainty of the Ottoman Empire, where it was the time of the Sultanate of Women. 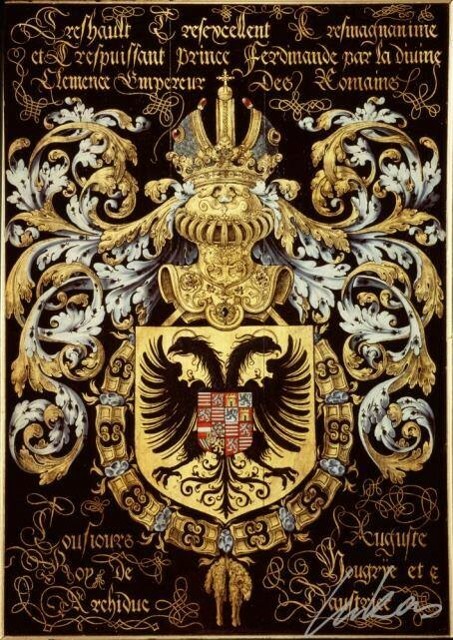 Matthias's conciliatory policies were opposed by the more intransigent Catholic Habsburgs, particularly Matthias's brother Archduke Maximilian, who hoped to secure the succession for the inflexible Catholic Archduke Ferdinand (later Emperor Ferdinand II). The start of the Bohemian Protestant revolt in 1618 provoked Maximilian to imprison Klesl and revise his policies. Matthias, old and ailing, was unable to prevent a takeover by Maximilian's faction. Ferdinand, who had already been crowned King of Bohemia (1617) and of Hungary (1618), succeeded Matthias as Holy Roman Emperor. Matthias died in Vienna in 1619. 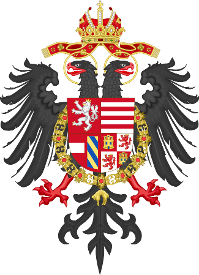 Matthias, by the grace of God elected Holy Roman Emperor, forever August, King in Germany, of Hungary, Bohemia, Dalmatia, Croatia, Slavonia, Rama, Serbia, Galicia, Lodomeria, Cumania and Bulgaria, Archduke of Austria, Duke of Burgundy, Brabant, Styria, Carinthia, Carniola, Luxemburg, Württemberg, the Upper and Lower Silesia, Prince of Swabia, Margrave of the Holy Roman Empire, Burgau, Moravia, the Upper and Lower Lusatia, Princely Count of Habsburg, Tyrol, Ferrette, Kyburg, Gorizia, Landgrave of Alsace, Lord of the Wendish March, Pordenone and Salins, etc. etc.